My first time wearing colour! Really, when is winter going to come to an end? 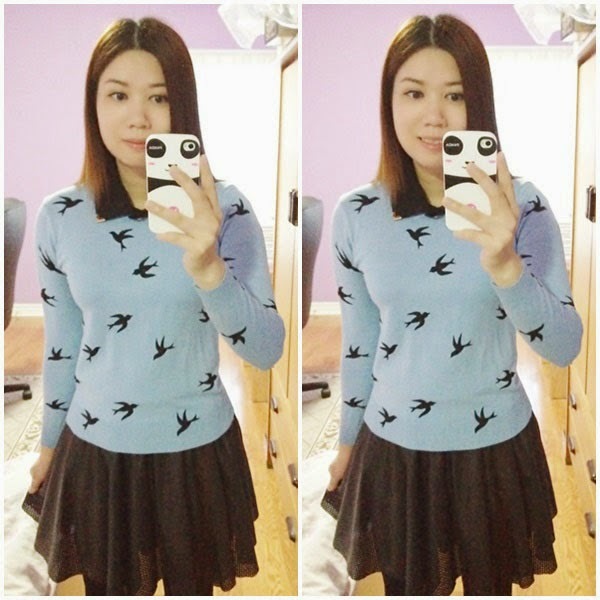 I'm wearing this birds print blue sweater with a detachable collar that I bought from yesstyle in this post here. 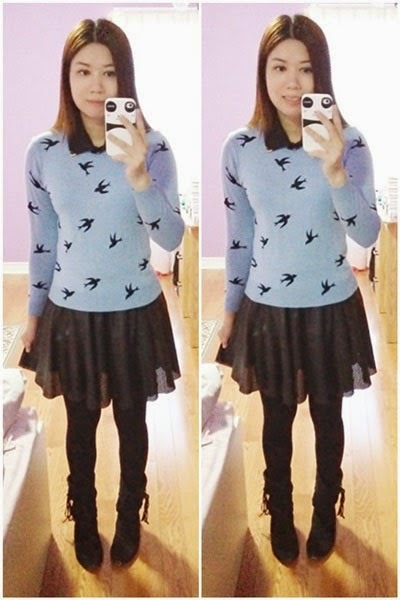 I paired it with a black leather skirt that I found on sale from Costa Blanca.